AssemblyCulture: normally only used for satellite assemblies, otherwise an empty string denoting neutral culture – in fact you specify an assembly culture like I have done above you’ll get a compile error saying that executables cannot be satellite assemblies; culture should always be empty. 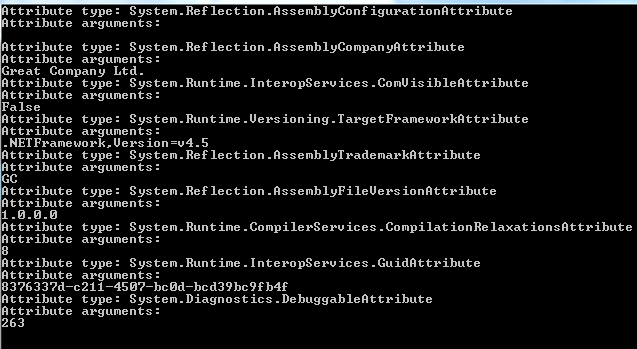 You can read the full documentation about assembly attributes here. …which returns “This is a container for Reflection related code examples” as expected.